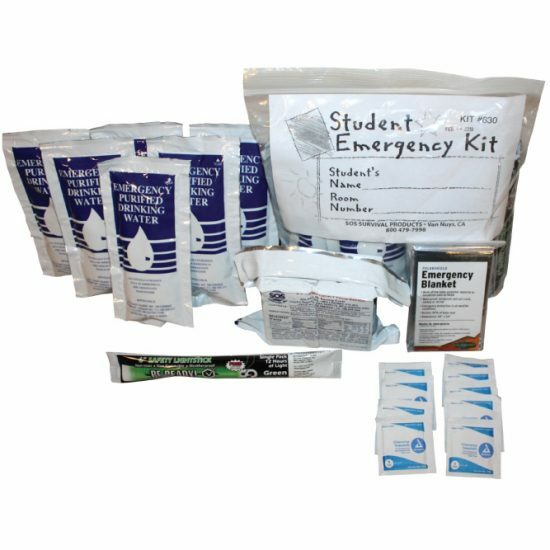 The Emergency Café Ultimate Family Kit contains the necessary food, water, first aid, search and rescue, lighting, comfort and sanitation products to sustain each person for 3 days in a disaster situation. It is designed to meet the needs of OFFICES, FAMILIES, SCHOOLS, BUSINESSES, & FACTORIES. The durable duffle bag can be kept in almost any location. 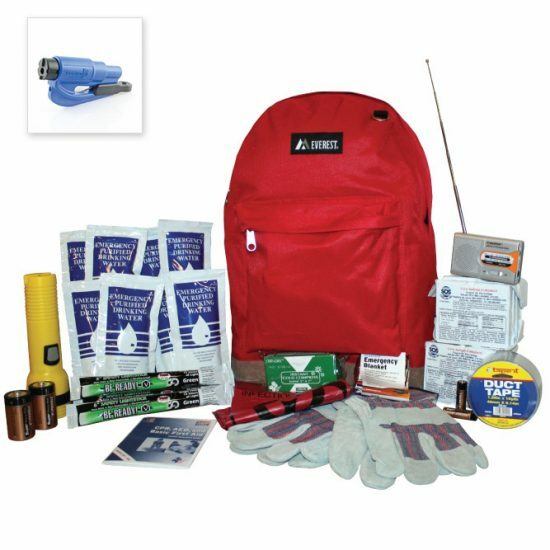 The shoulder strap makes this kit easy to carry hands-free in case of any emergency. 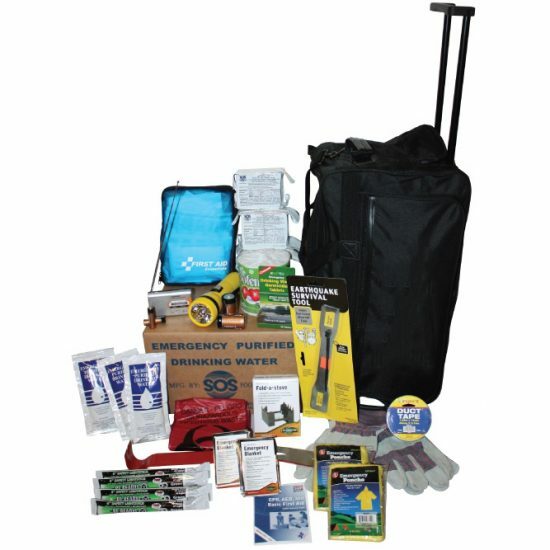 You will also receive a hand crank radio/flashlight/cell phone charger. 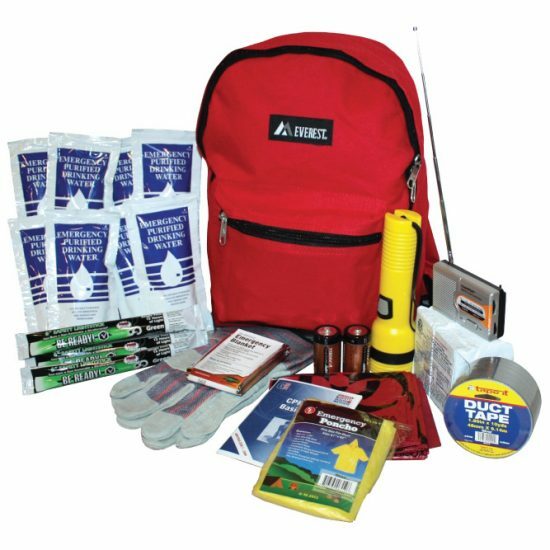 All Ultimate Family Kits come with solar powered radio/flashlight/USB Port and cord for charging cell phones and tablets. Radio comes with one year charge.